A 2009 Forrester study found that 47% of visitors expect a Web page to load in 2 seconds or less, and 40% will abandon if it takes more than 3 seconds. Furthermore consumers have begun associating load times with their perception of a brand’s credibility and quality. According to the same study, 27% of consumers say that visiting a slow site makes them more likely to visit a competitor! Microsoft Bing found that a 2-second slowdown means a 2.5% decrease in queries and overall clicks. Amazon finds a 100ms slowdown - one tenth of a second! - can mean a 1% decrease in revenue. Mozilla mapped a 2.2s improvement to 60 million additional Firefox downloads. So you have to optimize your site for speed. What this module does ? It displays the time and the memory used by your modules during pages generation. 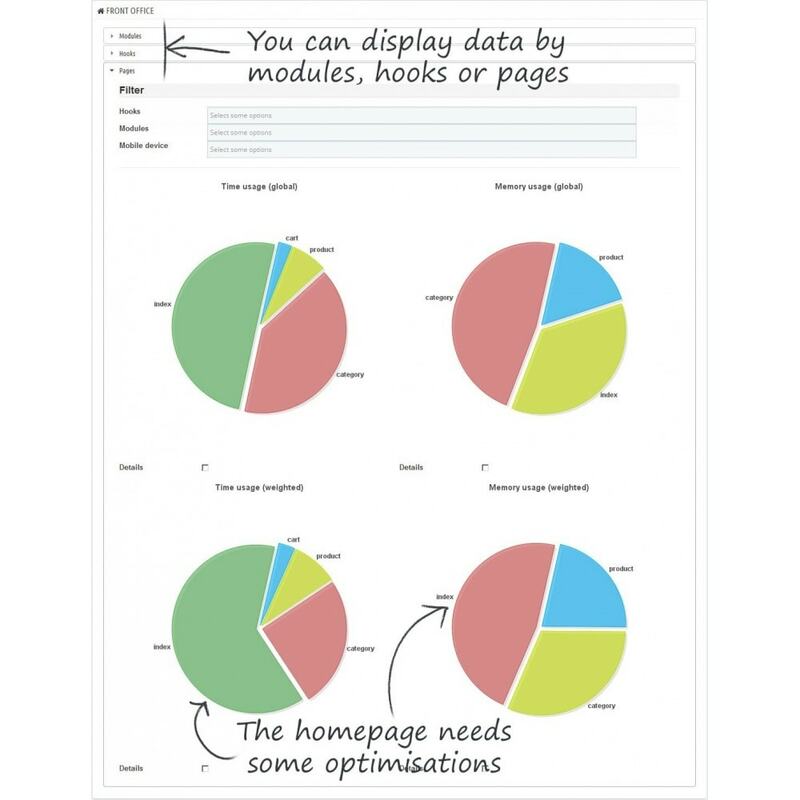 You can filter results by hooks, pages, modules, customers devices in order to find which modules that slow down your site and when. 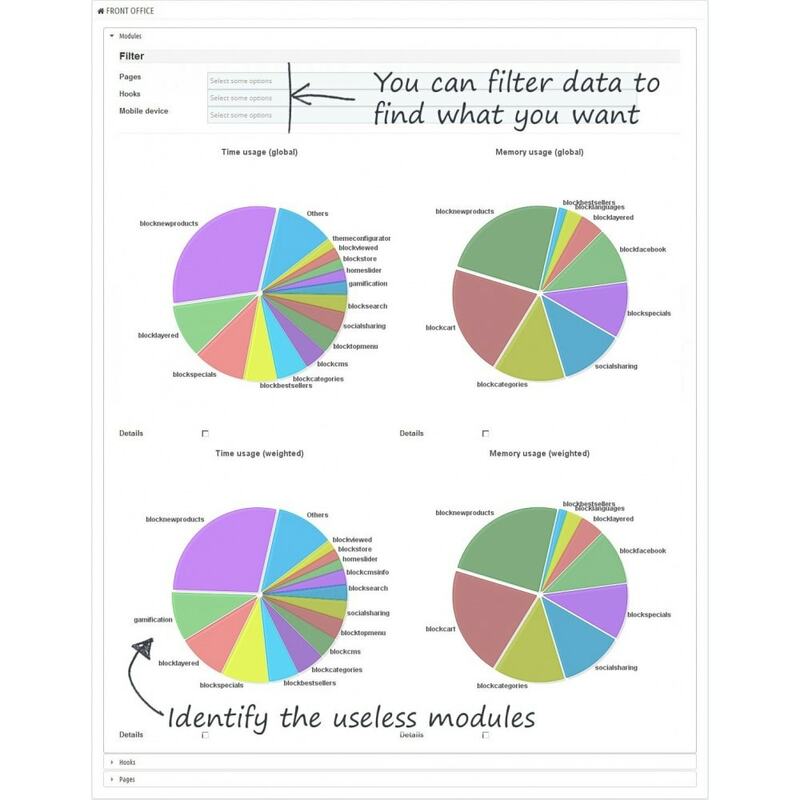 It displays statistics with easy read graphics so every one can see immediately which modules are taking the most time. 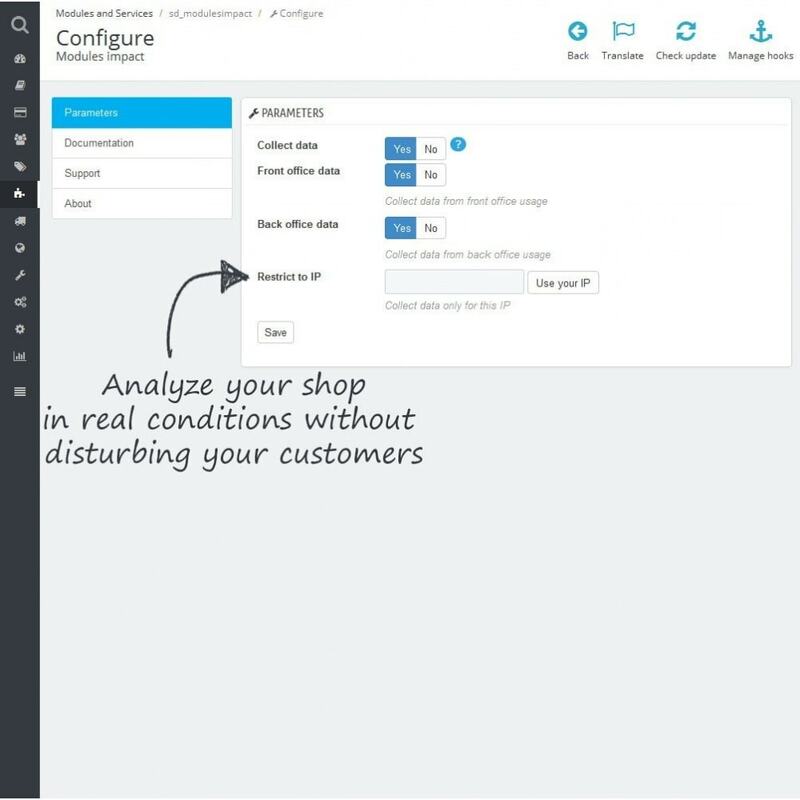 It can collect datas from the front office and/or the back office. So you can also optimize your back office. It can collect data for all IP or only for one (your most of the time). So you can have general statistics or most specific ones. - During the order process which module most affects the visitor experience. (Your IP during the order process). What this module does not do ? It does not disable any of your modules. 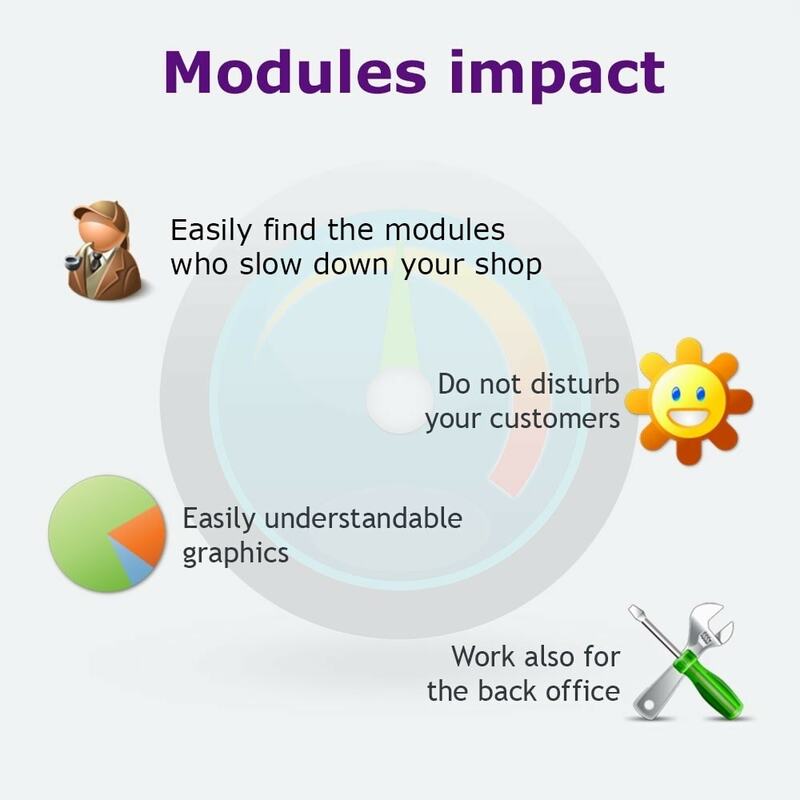 Some modules are essential even if they slow down your site. It's up to you to choose to disable it, optimize it or leave it as is. It does not slow down your site :-) but once enought statistics are collected you should stop the collect and the module will have no impact on your site.